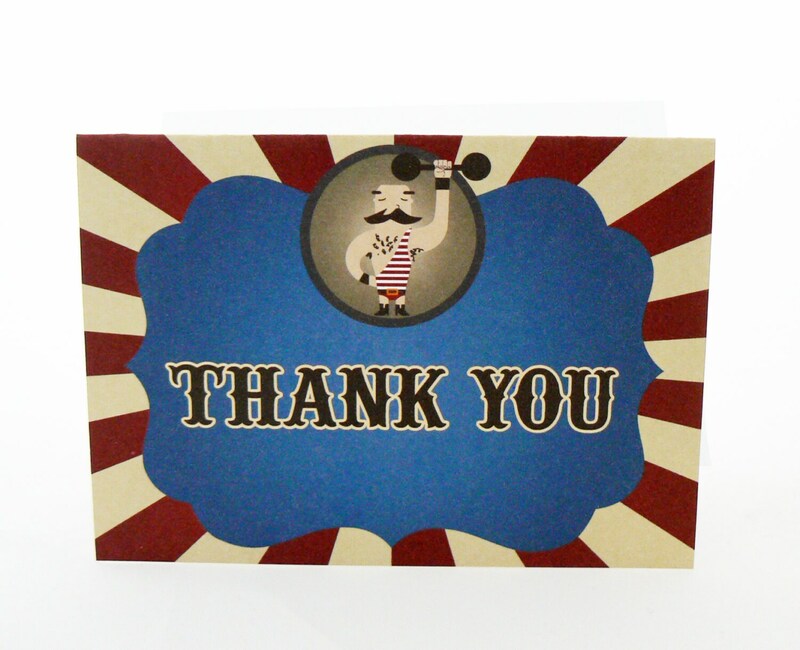 This circus themed strong man card is a great, fun way to tell someone thanks! This is the digital (print-it-yourself) design with instant download. The card measures 4.25" x 5.5" and comes with two cards per 8.5"x11" page. A gray cut line has been included to help with trimming your cards. This file is sent in .pdf and .jpg format.